Bombardier has delivered its first Class 710 EMU to client London Overground. The new Overground fleet is due to enter service on the newly electrified Gospel Oak to Barking line by November. TfL confirmed that final approvals for the route were completed last week. 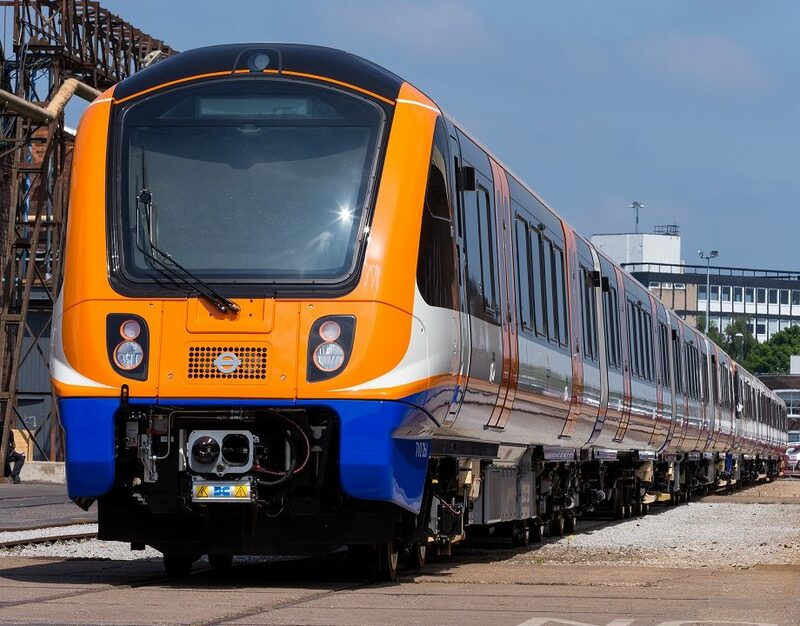 Bombardier is building 54 new trains for London Overground. 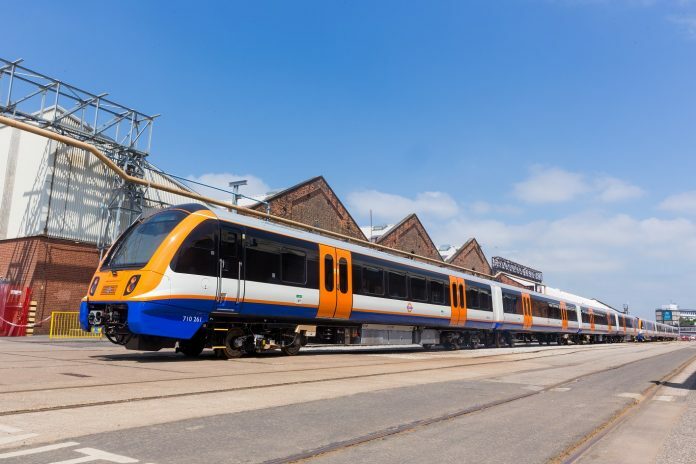 The four-car units, which feature a new colour scheme, will double the capacity of the existing diesel stock and production has supported a number of jobs at Bombardier’s factory in Derby. The first eight trains will enter service on the Gospel Oak-Barking line before being rolled out to the Watford-Euston route and to run services from Liverpool Street to Cheshunt, Chingford and Enfield Town. Class 710s will also be used on the Barking Riverside extension when it opens in 2021. Driving training is due to take place over the summer. New features include intelligent lighting, USB charging points and Wi-Fi. TfL said that 50 per cent of the suppliers used to build the new fleet are based in the UK. Looking good. All 710s should be lengthened to 5 carriages. Bombardier might add more extra carriages for the Class 710’s to become 5 carriages for North London Line, West London Line, London Euston-Watford Junction and Gospel Oak-Barking lines. And 8 carriages for London Liverpool Street-Chingford, Cheshunt and Enfield Town Lea Valley services. And platform extension at Emerson Park so that a 5-Car train can serve Emerson Park as well minor platform configurations at Romford platform 1 and Upminster platform 6 to accommodate a 5-Car Class 710 train.